President Muhammadu Buhari on Tuesday said he was distressed and depressed by the killings being witnessed in parts of the country. He has therefore called on all Nigerians to learn to live in peace. The Special Adviser to the President on Media and Publicity, Mr. Femi Adesina, in a statement said Buhari spoke while receiving leaders of the Church of Christ in Nations led by Rev. Dachollom Datirin at the Presidential Villa, Abuja. 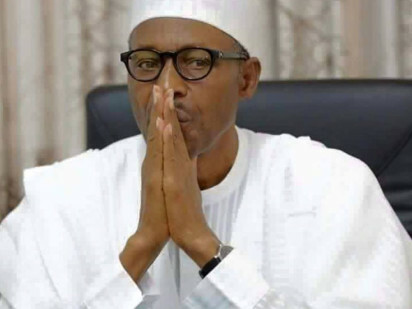 “President Muhammadu Buhari says he is distressed and depressed by the atrocious ethno-religious killings in the country, appealing to Nigerians to learn to live together in peace and harmony,” the statement read. Buhari further urged religious, community and traditional leaders to do more in promoting peaceful co-existence among Nigerians at different walks of life. He said, “As an organised institution (COCIN), I have no reason to doubt your report on the atrocities being committed in your communities including the killing of Idris Alkali, a retired Major-General, the dumping of his car into a pond and the body of the deceased thrown into a disused well. The President underscored the important roles religious leaders play in engendering peace. He lauded the exemplary role of the Imam in Plateau State who risked his life to save hundreds of Christian families fleeing attacks in June. “The leadership in the respective religions have to work harder to make sure they convince the coming generation that they have to live together in the same country,” he said. Buhari assured the Christian delegation that he will continue to exert pressure on the Nigeria Police Force to do the needful in protecting lives and property.